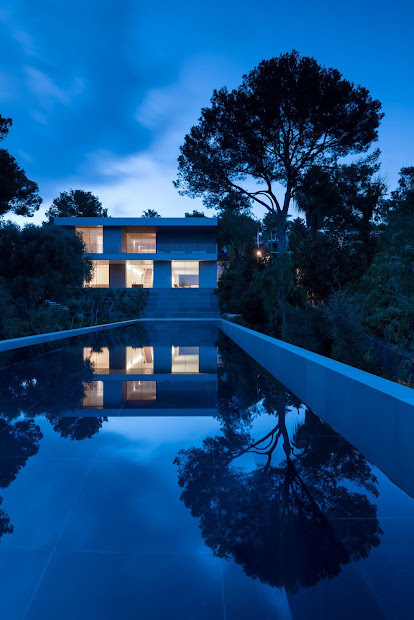 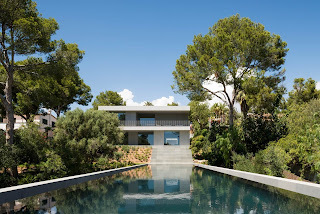 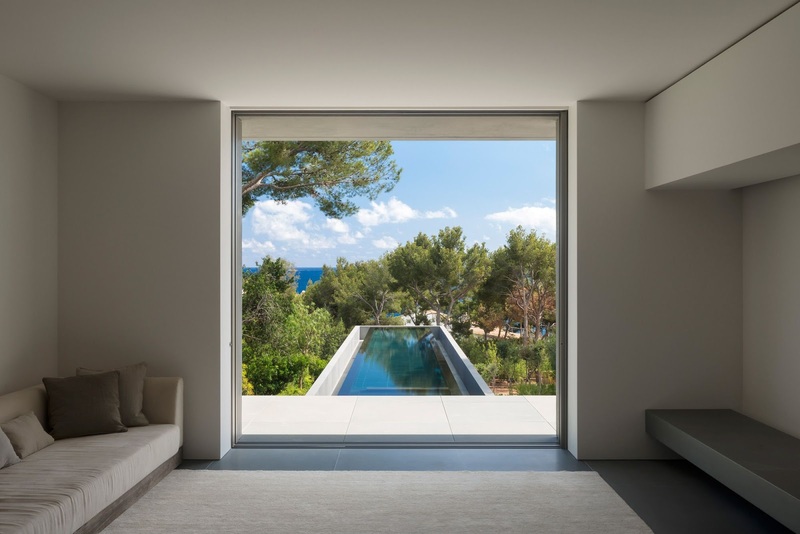 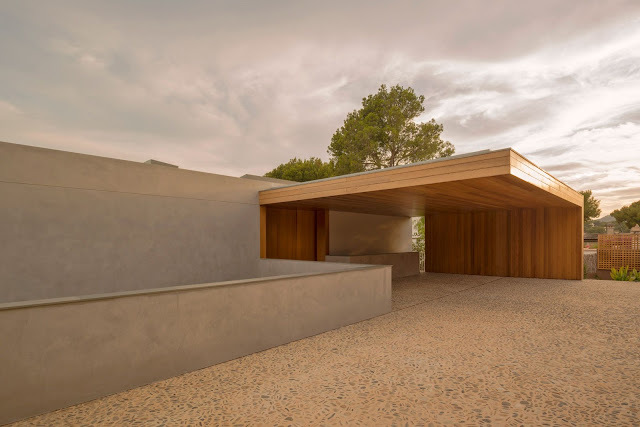 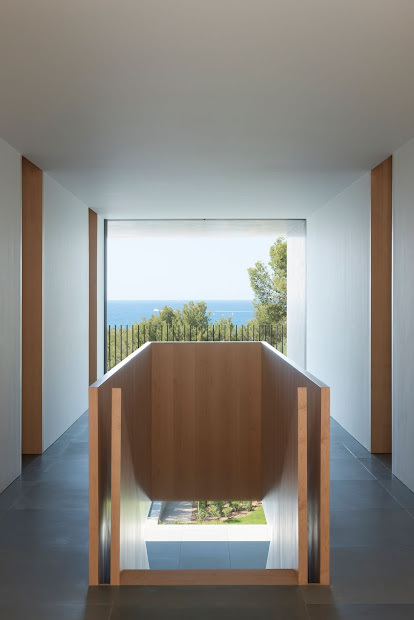 Located on a south-facing slope 10km from the centre of Palma, this family home addresses the challenge of making architecture that celebrates the contours of the landscape, while affording optimal and — critically, in a climate such as this — controllable light penetration. The house presents a single storey to the street, with a second floor to the seaward side. 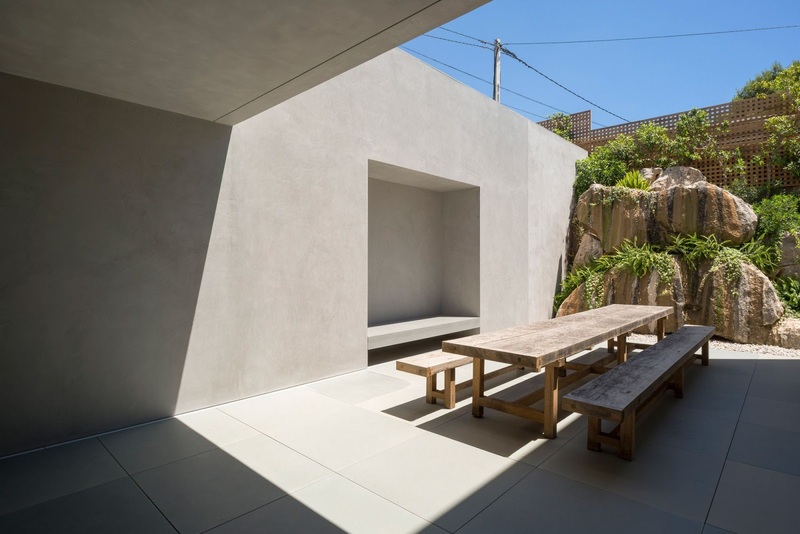 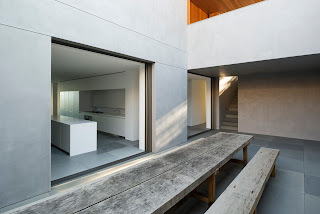 Walls are of the thickness required for optimal cooling in summer and insulation in winter, with natural cooling and ventilation supported by a sculptural, funnel-like courtyard within the floor plan. 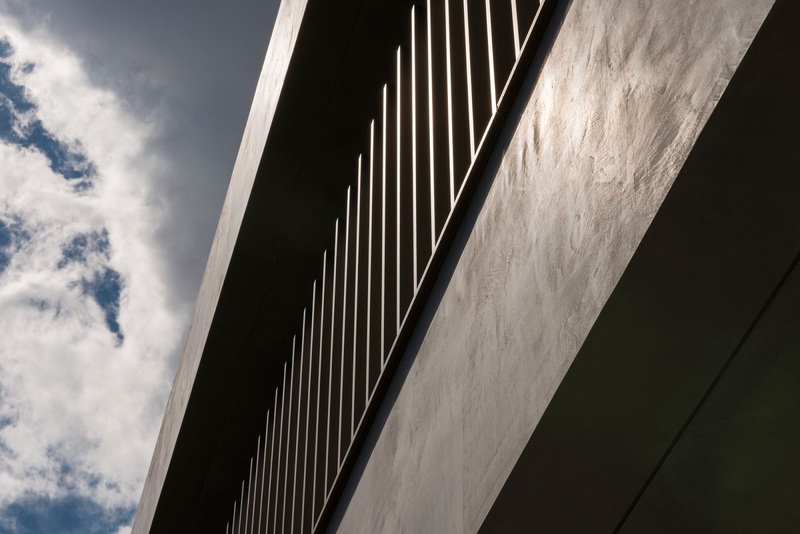 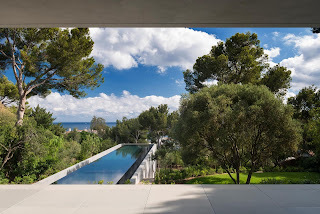 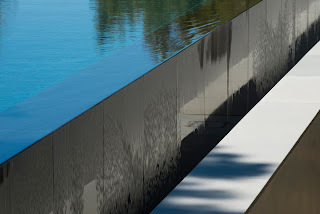 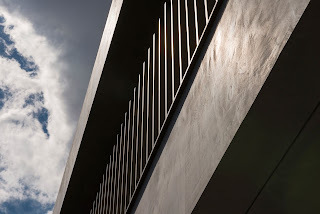 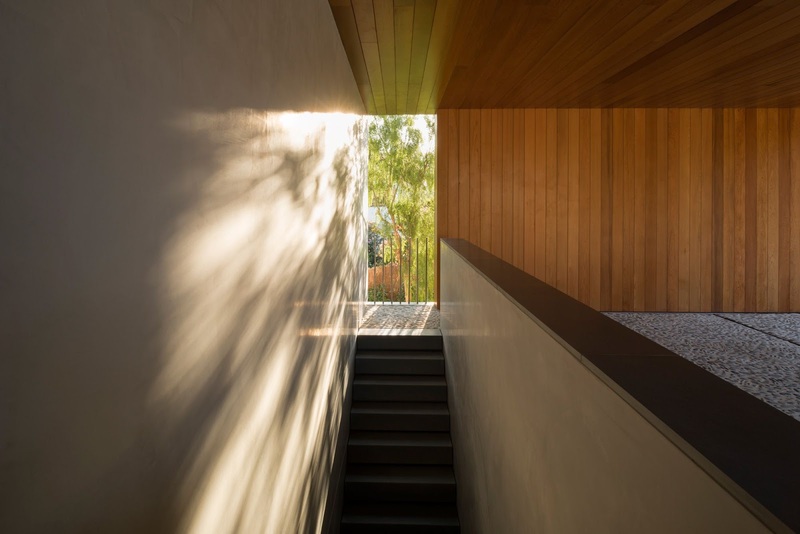 Projecting out into the garden, the pool underscores the dramatic attenuation of the site.